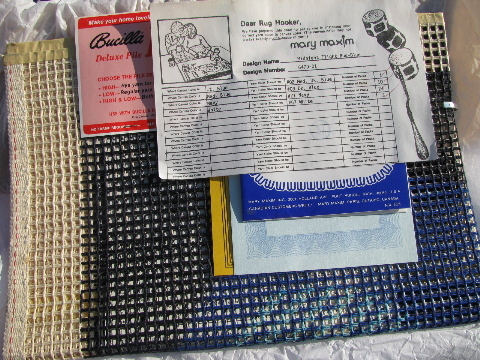 Vintage Mary Maxim latch-hook rug kit, with canvas and yarn. 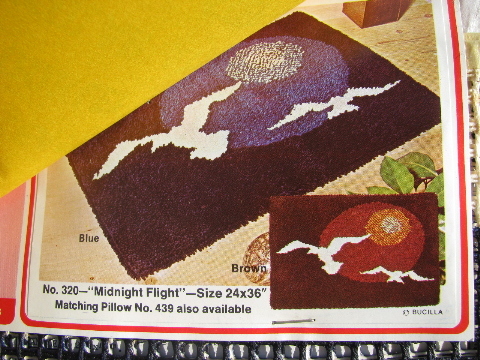 The design is birds in flight, flying ducks or geese, with canvas size of approx. 24" x 36". 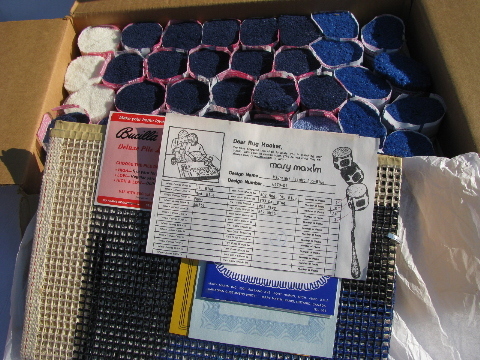 There are 38 packages of pre-cut 2 1/2" orlon yarns in mostly blues, very nice! 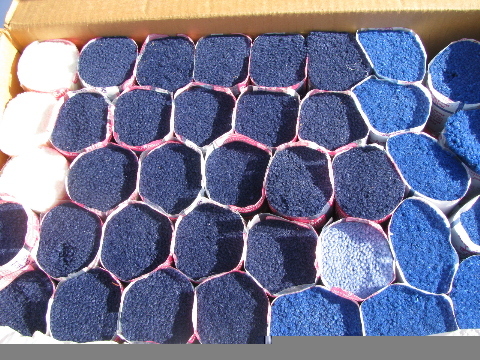 This is all in very good condition.